How can I grow my business if I don’t know what my prospects really want? 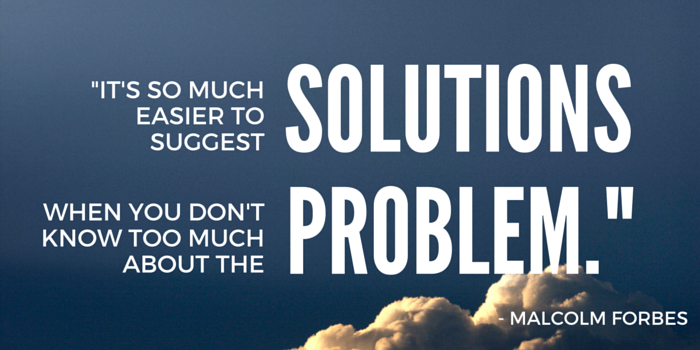 What problems are my ideal customers trying to solve? Where are they looking for help? Do my customers care about the features and benefits I can offer? How can I find out without breaking the bank? In order to grow your business, you need to understand your ideal audiences. With the help of our Audience Discovery Toolkit, you can design, develop and field your own audience survey to learn what they’re struggling with and how you can help. For years I’ve conducted market research to help brands like Gap, Jayco, AT&T and Tufts University understand the challenges their audiences are struggling with. I’ve designed the Audience Discovery Toolkit to help small business owners get some real data on their own prospects and customers. 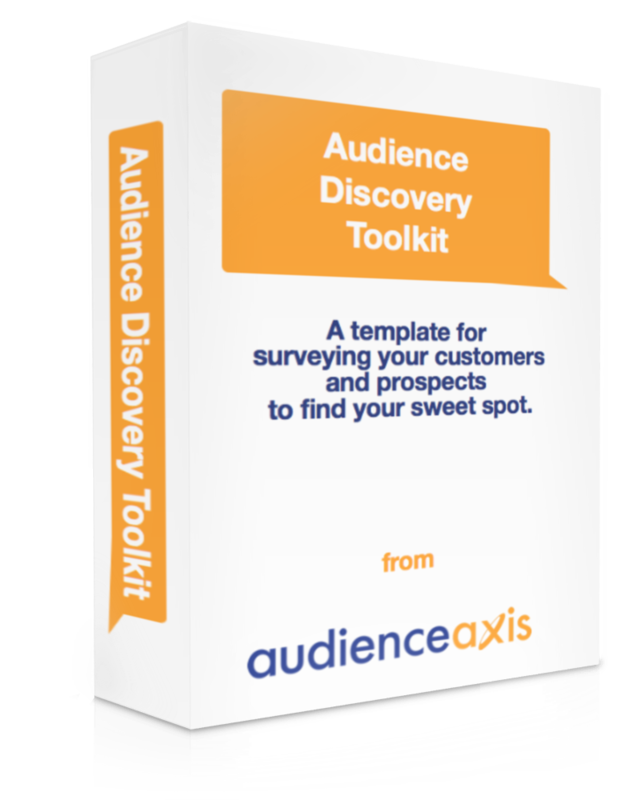 The Audience Discovery Toolkit will help you develop a short survey designed to get answers from your audience. What to do with your survey results. The Audience Discovery Toolkit also gives you access to a live example survey for you to use as a template when building your own survey. Get helpful instructions and explanations to help you build your own Audience Discovery Survey. With the help of the Audience Discovery Toolkit, you can design, develop and field your own audience survey. Your survey will be designed specifically to help you learn the most pressing challenges for your target audiences, how they have tried to solve those challenges, and what their ideal solution would look like. Why keep guessing when you could base your plans on real data from real prospects and customers? Our Audience Discovery Toolkit can make it easy. And the best part? You can have access to the whole kit & kaboodle — the Audience Discovery Survey template, the online example survey, and the expert advice for planning, fielding and using your survey — for just $7. Just think — real insights, so you can stop guessing – for just 7 bucks. or it may be a tool to help you deepen your understanding of an audience you’re already serving. Either way, our Audience Discovery Toolkit can help you better understand your ideal audiences and grow your business.